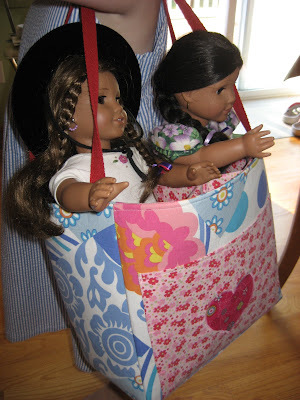 Hooked on Needles: Grace's American Girl Doll Bag ~ A Tote for Two! As soon as this pattern was introduced, I bought it! Click HERE to take a look at this darling tote bag pattern for dolls. 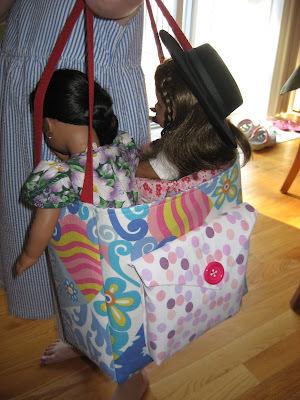 I just knew my little Gracie would love a bag made just for toting her dolls and their stuff around. 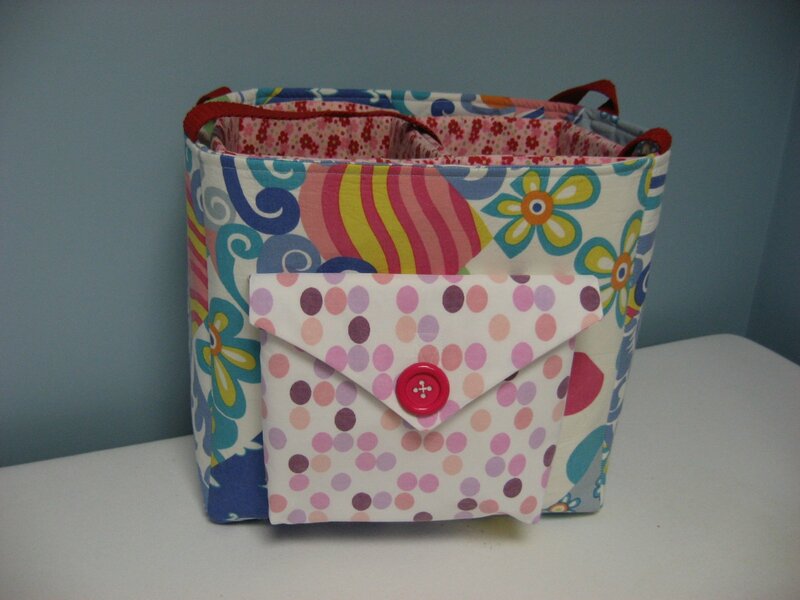 She's been asking me to make it since the day I got the pattern, and I finally cleared off my to-do list to the point where I could focus on making this bag for her. It only took a couple of days, working on it when I could, and now she is the happiest little doll owner in the world! 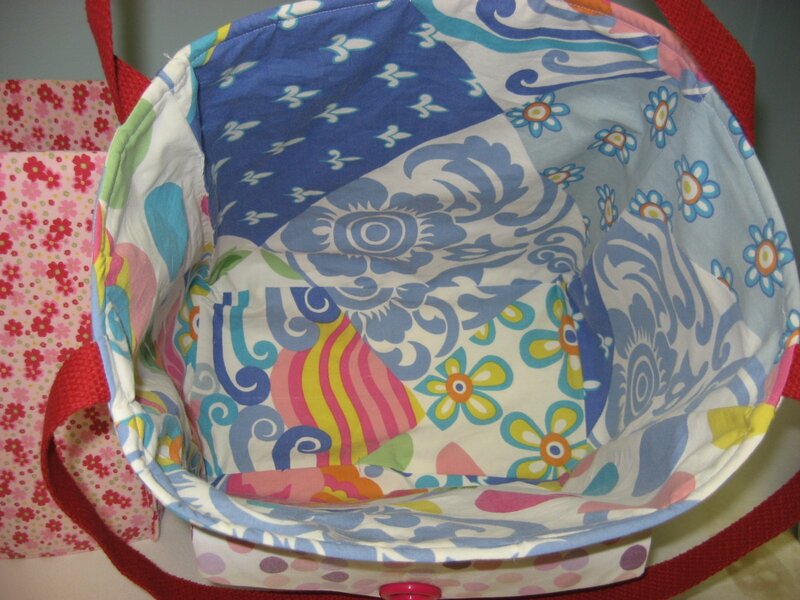 Is that not the funkiest fun fabric combination you've ever seen? Of course Grace picked it out herself and was absolutely certain that these fabric would go together perfectly! Who was I to argue? All the fabrics used in the making of this bag were purchased from Mandy over at Whimsy Dots where she sells the most fabulous vintage sheets. I had purchased a few cuts a while ago but had not used them until now. 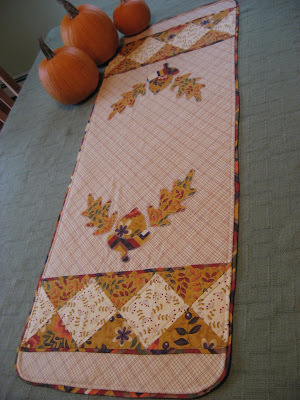 It is very different using vintage sheets as opposed to new quilting fabric, but I really loved it! The fabric is thicker and more sturdy, so perfect for tote bags like this. And Grace just loved the prints! 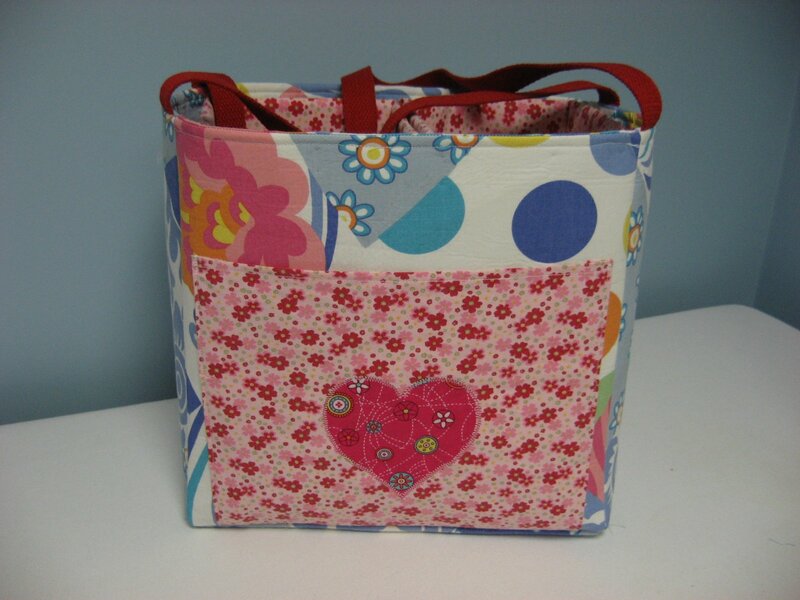 ...leaving you with a wonderful tote bag for lots of stuff. 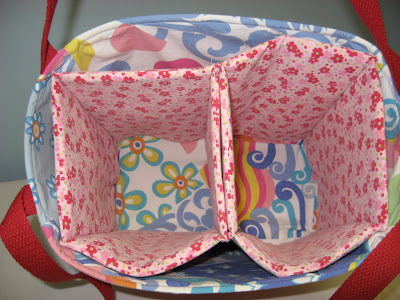 ...and a 3 dimensional pocket on the other side, to hold thicker things like the doll glasses or hair brush or other accessories. So that is my latest finish and it has already been used and loved! 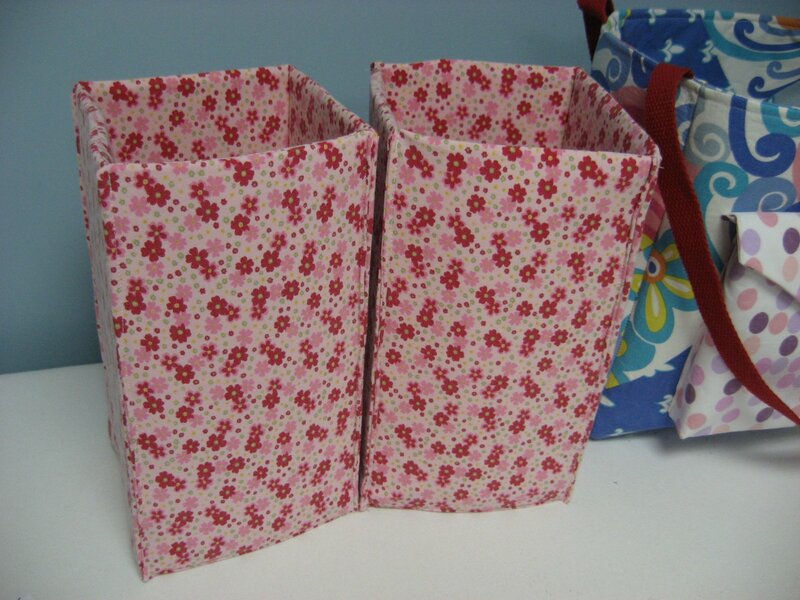 If you are looking for patterns for American Girl dolls or other 18 inch dolls, be sure to check out Melissa's original patterns over at her shop. 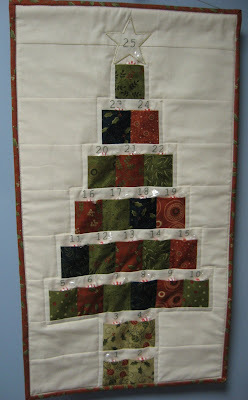 And for some great vintage sheets and other fun sewing stuff, visit Mandy at Whimsie Dots. That tote is adorable. When I was a little girl, I would have loved a tote like that one! Gracie picked great fabrics! Love the doll tote - Gracie is one lucky little girl to have you as a mom! !